As my daughters grow up, I remain concerned about what values I’m promoting amidst the fairy tale frenzy they live in. I love fairy tales as much as the next little girl at heart, but I have concerns about flooding our children’s minds with glittery dresses and happily ever afters that usually involve castles and servants. Real life has more grit to it, which is why it’s harder to expose our children to it. We don’t really want them to have to deal with real life just yet, and that’s understandable. But I want my little girls to value hard work, bravery, and honesty. I want them to see beyond beauty on the outside and care deeply about the inside of a person. So when we browse the shelves at the library or bookstore, it can be disheartening to see how the sparkly pink book bindings and the elegant gowns draw my five-year-old daughter in like a hummingbird to a red flower. Pink, sparkly books abound in the picture book genre (not so much for girls in the chapter book age, I’ve noticed), but there are some gems out there we’re slowly discovering. These books don’t feature princesses at all; just real life young girls who became heroines by bravely facing the hard tasks before them. 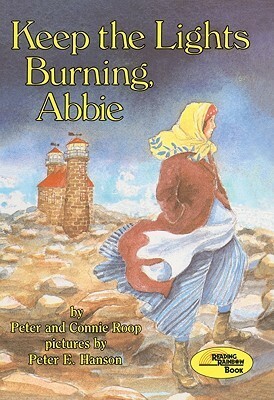 Kee p the Lights Burning Abbie is a book my mom read to us when we were little. I loved it then, and I still love reading it now.When Abbie’s father leaves the lighthouse in the hands of his daughter, he doesn’t know what a test she is facing. Abbie and her sisters prove their bravery as they care for the lights and each other. I get a lump in my throat on the last line every single time — not a “that’s so sad I can’t take it lump” but that kind of lump you get when you watch someone win an Olympic gold medal. The Reading Rainbow episode that goes with this book is also one of my favorites. 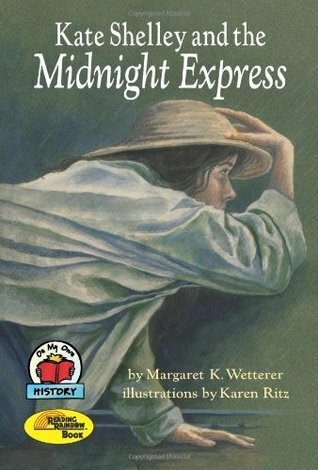 If I could have picked a story to star in when I was about eight years old, it would have been a story like Kate Shelley and the Midnight Express. Kate sees a problem, knows that people will die if she doesn’t do something about it, and does the hard work of stopping an engine full of people from plummeting into a river. Now that is some serious girl power. Did I mention the illustrations are riveting? And that Kate crawls across a train trestle over a raging river in the dark? I never did anything that brave, but it seems important that every girl aspire to heroic bravery at some point in their young lives. 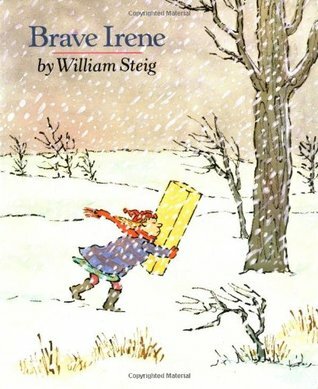 Brave Irene by Kevin Stieg isn’t based on a true story as the other books in this post, but that’s alright with me. Irene doesn’t save lives like Abbie or Kate, but she does display the kind of character traits I would love to see in my daughters. When her mother, a dressmaker, becomes ill right at the moment when she needs to deliver a dress to the Duchess for the ball that night, Irene puts her mother to bed and delivers the dress herself, despite a raging snow storm. Irene is caring and compassionate and, obviously, brave. She is also not above getting discouraged on her journey–I appreciate that kind of honesty in a book about a wonder girl. I wish I had more Picture Book Heroines to add to this list, but I’m still on this search. If you have any suggestions, chime in! P.S. My kids are crazy about Mulan right now. Just this morning I had to explain to Ella that Mulan is not actually a princess, but she’s really cool and important; this conversation further confirmed that we have some work to do on the princess mindset. It’d be nice if Disney put out a movie about a lovely girl who lived happily ever after and washed dishes at the same time, but it looks like that lesson is all on me. Come on, Disney. Keep these great books for kids coming!!! I’m making notes for Christmas gifts for the grands!! So glad you are continuing your blogs with the new baby in the family. Always enjoy your perspective.